Spirituality is an important aspect of occupational therapy theory and practice, yet it remains little understood. By the end of the volume the reader will have the toolset required to consider spiritual concepts and their application to health principles. 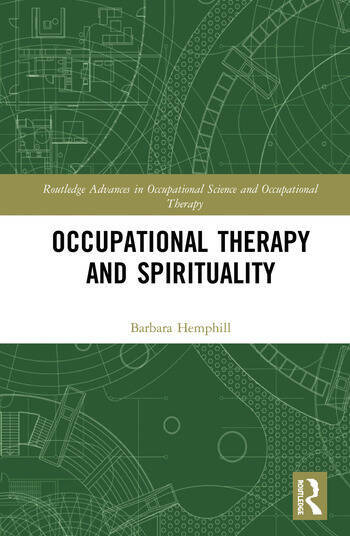 Occupational Therapy and Spirituality is written in an accessible format and is designed for occupational therapy and occupational science academics, researchers, and graduate students. Barbara Hemphill is Associate Professor Emeritus at Western Michigan University. Dr. Hemphill was appointed to the State of Michigan Ethics Board for Occupational Therapist and was elected Chair of the Ethics Commission to the American Occupational Therapy Association in 2009.